They may be a little late, but here are the results for the TENTH week of our Daily Sketches. The past 2 weeks have been insane, and we may have lost our minds a little trying to get back on track, but we didn’t want to miss a single day when it came time to post a roundup. So keep scrolling and check out our hard work! 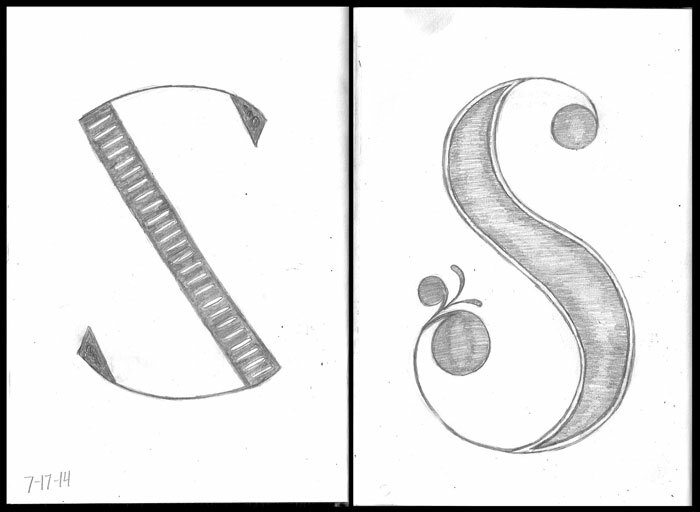 Day 64: For these first two days, we decided to tap into some creative typography and sketch our initials. Today, we just happen to both have letters that begin with S. As you can tell, we take on two very different interpretations of the same letter. Day 65: And now, initials of our last names! 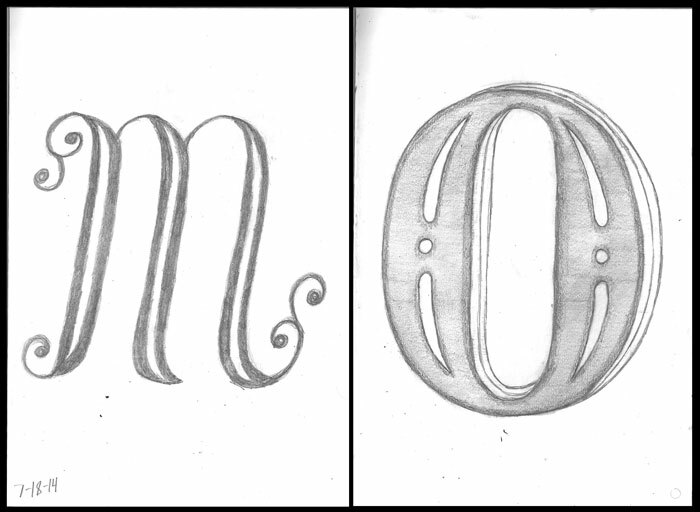 Sean incorporates some swashes into his fancy M, while Stef adds some decorative marks and dimension to her O. Day 66: After struggling to find something to draw, Stef gains some inspiration from Sean’s awesome argyle socks. 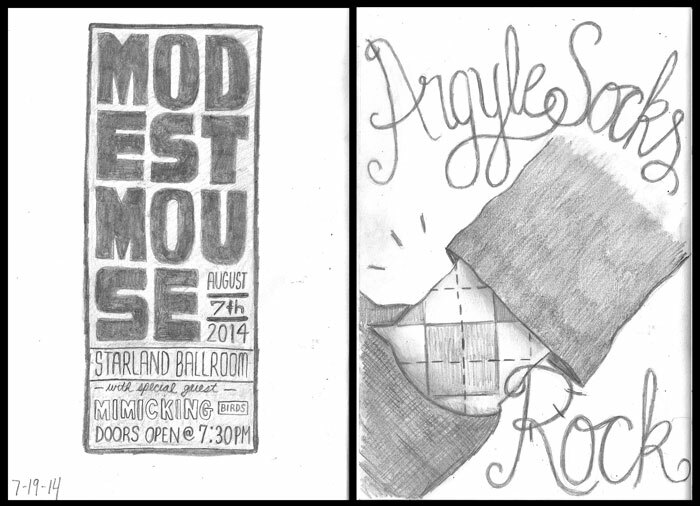 Sean gets excited for a concert we will be attending in August and sketches a typographic poster for it. 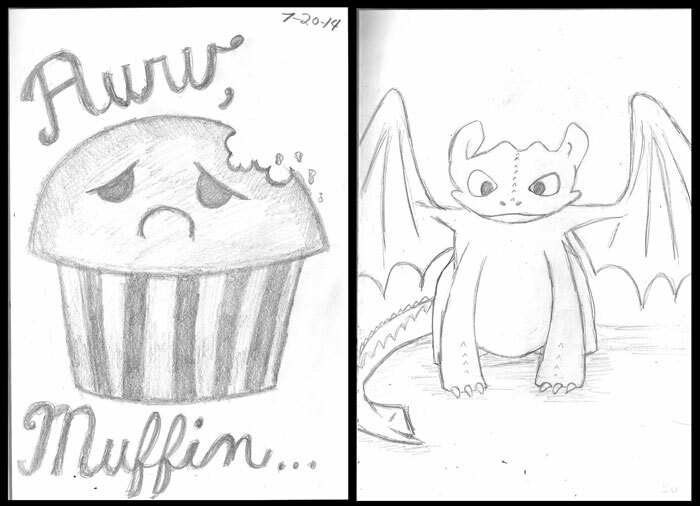 Day 67: AWWWWW, Muffin! Sean takes an inside joke between the two of us and draws a muffin that is filled with nothing but melancholy. Stef, on the other hand, draws a more lighthearted sketch of Toothless from the movie How to Train Your Dragon. Day 68: This night was filled with two things we both love, movies and cookies! 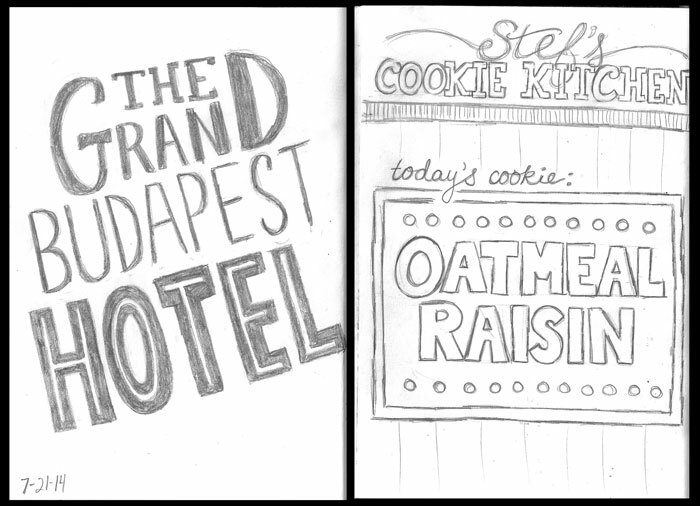 Sean provides some cool typography of the night’s movie, while Stef imagines what it would be like to have her own cookie bakery. 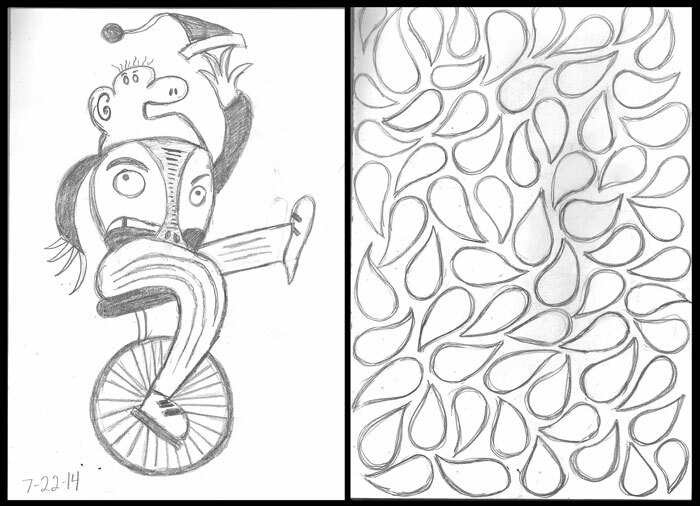 Day 69: Stef has a hard time catching up with missed sketches, so she fills her sketchbook page with a pattern of a teardrop/leaf shape that she commonly finds herself drawing. As for Sean, if you haven’t noticed by now, he never struggles with finding something to sketch because he’s constantly surprising us with random and crazy drawings. Day 70: ***Theme: CRAYOLA! 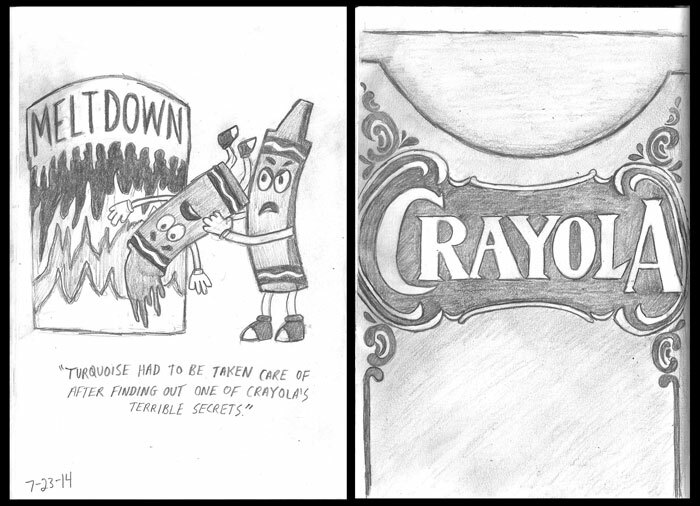 *** After a trip to the Crayola Experience in Easton, PA, we thought it was perfect that we make Crayola our theme for the day’s sketch. Stef finds charm and beauty in the original Crayola logo, while Sean finds nothing but humor in the crazy crayon characters they have featured throughout the experience. Poor Turquoise…. And there you go! Two weeks of sketches in two days! From here on out, we’re going to try really hard not to miss any sketches so we won’t fall behind. Stay tuned for the rest of our weekly sketches every Thursday! Until then, we’ll be off doing a lot more cool stuff to post soon.